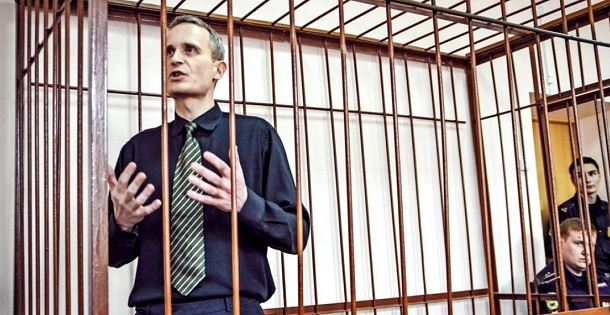 Russia has jailed the first Jehovah’s Witness since it illegalised the religious group in 2017. Danish citizen Dennis Ole Christensen was found guilty of “organising the activities of a banned extremist organisation”. The judge handed him for six years in a general-regime correctional colony. According to the judge, the 46-year old man “used his authority as a spiritual leader” and “ensured the work of the organisation [continued], knowing of its prohibition”. According to religious freedom advocacy organisation Forum 18, Christensen and his lawyers had argued that he had held no leadership position, that Jehovah's Witnesses in the city of Oryol retained the right to practise their faith despite the liquidation of their registered community, and that Jehovah's Witnesses had never engaged in “extremist activity”, either before or after the ban. Christensen’s wife, Irina, told the human rights organisation: “It is terrible, a 6-year jail sentence for believing in God”. “We will continue to fight for justice through the courts, right up to the European Court of Human Rights”. Christensen was detained in May 2017, and has already spent more than 600 days in pre-trial detention. This is the first prison sentence given to a Jehovah’s Witness in Russia since the Supreme Court accepted the government’s request to designate Jehovah's Witnesses as an outlawed religious group in August 2017. The distribution of religious literature incited hatred against other groups, the court said. 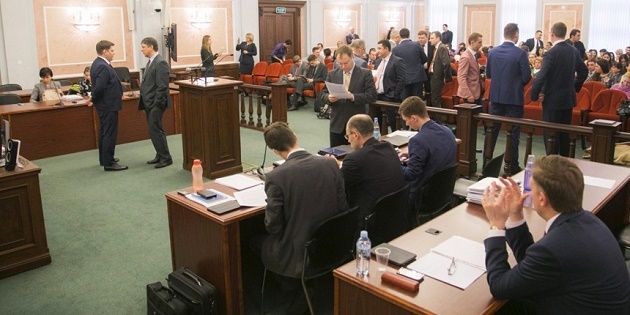 There are around 175,000 Jehovah’s Witnesses in Russia, and dozens of court processes have been opened against members of this faith minority in the last months. Human Rights organisations such as Amnesty International and Human Rights Watch have denounced the persecution of this faith minority in Russia. Russia’s evangelical Christians also expressed their opposition to the illegalisation of Jehova’s Witnesses. In 2017, Baptist leader Vitaly Vlasenko said: “The Russian constitution guarantees every citizen the free profession of his/her faith. It does not state which faith is correct or incorrect. This kind of precedent is therefore highly frightening and raises the question of who’s next”. In Europe, other l voices such as the Italian Evangelical Alliance also denounced the persecution of Jehova’s Witnesses. In July 2016, President Vladimir Putin signed the “Yarovaya laws” which effectively banned evangelism outside the church buildings, and faced foreign visitors who violate the law with deportation. Sergei Ryakhovsky, leader of the Protestant Churches of Russia said these legislation “violates human rights and fundamental liberties with regard to religious freedom”. Such laws “create the basis for mass persecution of believers (...) Soviet history shows us how many people of different faiths have been persecuted for spreading the Word of God. This law brings us back to a shameful past”. The European Evangelical Alliance said it was “extremely concerned about Russia’s new anti-terrorism law, which greatly restricts religious freedom”. The body representing 23 million evangelicals in the continent called to “to stand with their Russian brothers and sisters in prayer (...) Let us pray for wisdom, hope and courage. Let us pray that this new law unites Christians in new ways and express this unity and love among each other”. On February 2, a spokesman of the Russian Evangelical Alliance confirmed to Evangelical Focus that a Moscow court closed the Seminary of the Baptist Union for 60 days. The leadership of the Baptist theological centre hoped to “open again” after these initial 60 days. They could lose the official accreditation of a Russian centre of learning, but remain legal, the source said.